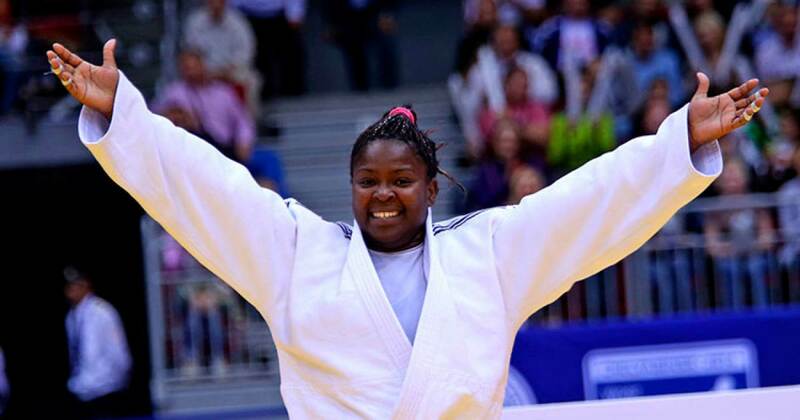 Havana, Cuba, Feb 11.- The woman judoka Idalis Ortiz won the title in the more than 78 kilograms division of the 2019 Paris Grand Slam, in France, and put Cuba in the seventh seat in the medal table, which was headed by Japan with five gold, three silver and seven bronze medals. According to the website of the tournament, Ortiz, Olympic and world monarch and current leader of the universal ranking, earned the crown by defeating in the final Azeri Irina Kindzerska, 2017 world champion. Ortiz´s previous victims in the contest were Algerian Sonia Asseleh, Portuguese Rochele Nunes and South Korean Minjeong Kim, all by Ippon. The Caribbean island participated in this major competition with seven other judokas: men Osniel Solis (66), Ivan Silva (90), Jose Armenteros (100) and Andy Granda (+100) and women Nahomi Acosta (52), Maylin del Toro (63) and Kaliema Antomarchi (78). Armenteros, Granda and Solis won their first bouts, but then all lost in the second ones, while the rest lost in their debuts.